By 30 June 2017, the company owned or had investments in properties and development projects in Europe totaling 16.9 million square metres. Occupancy was at 96.2 percent. 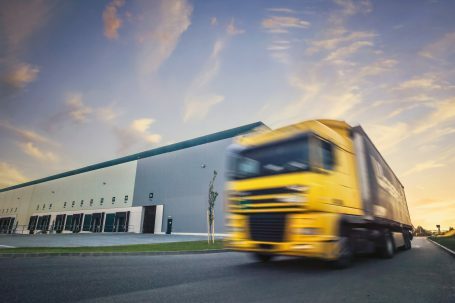 In response to ongoing low supply of Class-A facilities across all markets, Prologis acquired land to extend logistics parks in prime locations, including Prologis Park Bratislava, Slovakia; Prologis Park Tilburg, South Netherlands; and Prologis Park Hemel Hempstead in the UK’s London and South East market. In the first half of the year, Prologis acquired 138 hectares of development land in Europe, as well as a portfolio of five fully let buildings totaling 77,000 square metres in Sweden. During the same period, the company disposed of 397,000 square metres in buildings across Europe, along with 32 hectares of land. Rental growth continued in the first six months of 2017, both in supply constrained markets across Northern Europe and the UK as well as in recovering markets such as Italy, Spain and Hungary. The strongest markets for Prologis Europe during the period were the UK, the Netherlands, Germany, Italy, Slovakia, Stockholm, Barcelona, Prague and Budapest. During the first half of 2017, Prologis signed leases and renewals totaling 760,000 square metres and completed 12 buildings totaling more than 240,000 square metres, including seven build-to-suit (BTS) facilities. The company commenced construction of two BTS buildings totaling more than 23,000 square metres. At the end of June 2017, Prologis CEE operating portfolio totaled 4.61 million square metres. With the addition of new developments, the portfolio reached 4.72 million square metres. Occupancy was stable at 95.4 percent. Prologis also acquired 81 hectares of land in CEE and disposed of 117,000 square metres in buildings, along with 24 hectares of land.